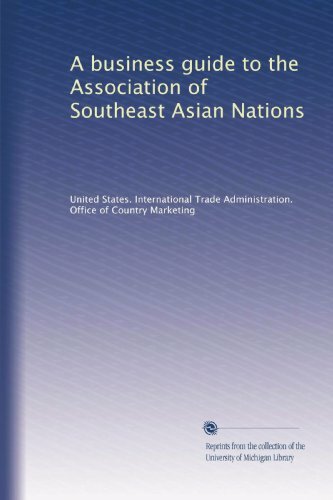 In developing countries across Asia, food marketing parastatals have played an important role in agricultural policy, especially with regard to government efforts to stabilize food prices. Three broad market failures constitute the primary arguments for this form of government intervention: a lack of market integration stemming from inadequate infrastructure, the absence or inadequacy of risk-mitigating institutions and markets, and the need to protect the world's poorest communities from a volatile global market. Opponents of such public intervention schemes claim that the old rationales are no longer convincing, that the programs are not cost-effective and do not allocate resources optimally, and that private institutions are strong enough to take over many of the functions traditionally performed by parastatals. In From Parastatals to Private Trade, the editors -- clearly from the latter camp -- pose three general questions: Why must parastatal-centered policies in Asia change, when should policy changes occur, and should such change happen gradually or abruptly? 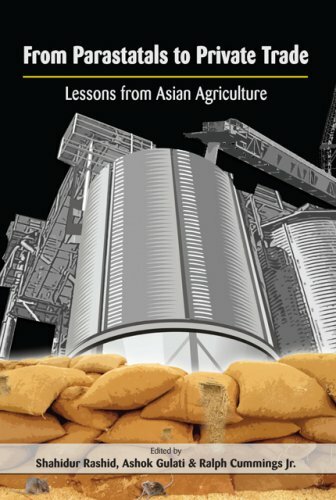 Experts in agricultural policy use case studies from South Asia (Bangladesh, India, and Pakistan) and East Asia (Indonesia, the Philippines, and Vietnam) to answer these questions; and a concluding chapter synthesizes these countries' experiences with price stabilization programs. In light of the evidence -- which indicates that parastatals played important roles in the past but have become overly expensive, and that reduced intervention can promote competition, help develop alternative institutions, and release funds for development and antipoverty programs without jeopardizing price stability -- the editors highlight the challenges ahead and propose suggestions for reforming the existing paradigm for price-related policies. 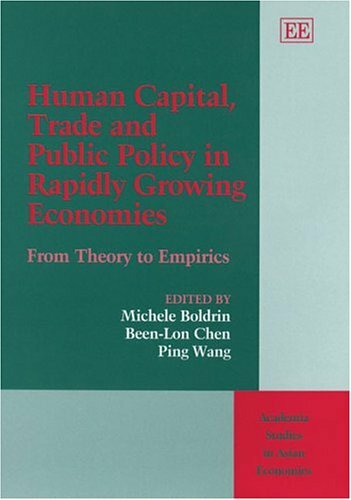 This volume provides valuable analyses for anyone concerned with balancing government intervention with market-friendly policies. The connection between trade and the environment gives rise to a set of issues that is relatively new and still controversial. The concern of environmentalists is that liberalized trade will lead to an increase in products that are harmful to the environment. Those who promote freer trade, on the other hand, are concerned that environmental issues will provide a pretext for protection and form trade barriers. This is significant as trade is seen by Asia as an engine for growth. It is part of the formula pioneered by the 'Asian Dragons' in pursuing export-oriented industrialization and now adopted by other larger Asian countries. Asia, too, is facing considerable environmental stress in development. 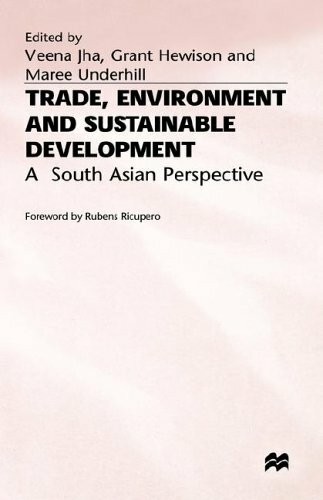 Ultimately, as recognized by the 1992 Earth Summit, the issues of trade and the environment are part of the challenges in seeking sustainable development. 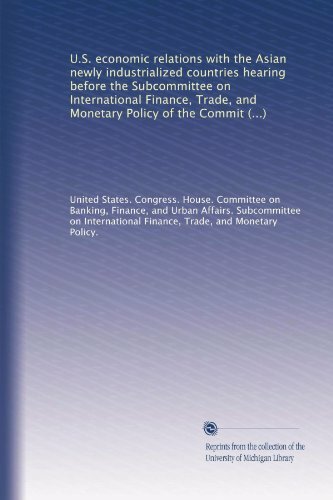 These issues came into focus as the World Trade Organization met in Singapore in December 1996, when the WTO committee on trade and the environment delivered its first report. Increasingly, trade and the environment will have to be considered in the context of other regional initiatives such as Asia Pacific Economic Co-operation area (APEC), ASEAN Free Trade Agreement and Asia's reinvigorated ties with Europe after the Asia-Europe Meeting (ASEM). This digital document is an article from Top Producer, published by Farm Journal Media on October 1, 2004. The length of the article is 417 words. The page length shown above is based on a typical 300-word page. The article is delivered in HTML format and is available in your Amazon.com Digital Locker immediately after purchase. You can view it with any web browser. With the world's fastest-growing markets, fastest-rising military expenditures, and most volatile hot spots, a resurgent Asia holds the key to the future global order. Facing complex security, energy, and developmental challenges in this era of globalization and ever-sharpening interstate competition, a strong China, a strong India, and a strong Japan need to move beyond historical legacies and find ways to reconcile their interests in order to coexist peacefully and achieve greater prosperity. 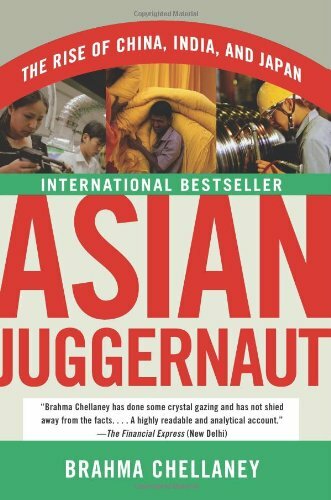 In Asian Juggernaut, Brahma Chellaney, a renowned authority on Asia's political and economic development, explores the importance of this strategic triangle formed by Asia's three largest economies offer a clear, insightful, and revelatory analysis of their cooperative future and pivotal role on the world stage. Major Concerns for Asia in the next Fifty Years. 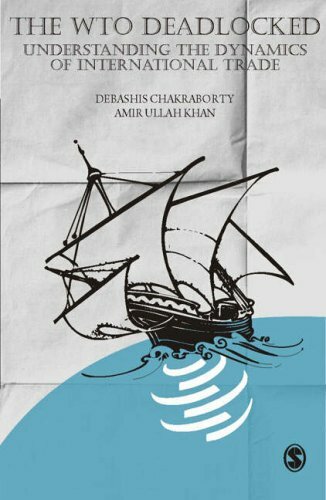 A very thorough, well researched and extensively documented book with penetrating analysis of the competition between China, Japan, and India for natural resources and leadership in Asia. I was most impressed by the extensive documentation of Chinese military activities to contain India, including aggression from Tibet, military activities in Pakistan and Burma, projection of sea power into the Indian Ocean, and cartographic aggression on Chinese maps of Kashmir and Arunachal Pradesh. Agrarian unrest in China is another uncertainty that has been growing, and there is no way to know if the Communist Party can contain it over the long term. An interesting section on the the Chinese use of fanciful history, where they use legends or interpret or reinvent history to justify otherwise weak claims to Tibet, Taiwan, the Spratly Islands, Kashmir and Arunachal Pradesh. Where China has the most conflict with India and Japan is over oil.All of them are very dependent on the Middle East, particularly Iran. That is why China has been using its membership on the UN Security Council to protect Iran from nuclear sanctions. Extensive source lists for every chapter, and an appendix with the full text of significant diplomatic documents.